The manufacturing sector is one of the most diverse industries in the UK, comprising a wide range of different activities, organisations and technologies. Including aerospace, pharmaceutical, electronics, textiles, food & drink and automotive, the UK manufacturing sector is thought to account for 11% of the whole UK economy, and employs approximately 2.6 million people. The UK manufacturing industry faces numerous challenges in todays marketplace, including dealing with growing globally, managing cost pressures, improving operational efficiency and continuously adapting to ever changing customer needs. Many manufacturers face the ongoing challenge of how to ensure effective collaboration between themselves, their supply chain & their customer base, many of which may be globally located, whilst others are in constant need to ensure product development life cycles are kept to tight deadlines without having a detrimental effect on quality. Manufacturers are also becoming increasingly concerned about their top line, due to global expansion increasing faster than the purchasing marketplace resulting in much more aggressive global competition. 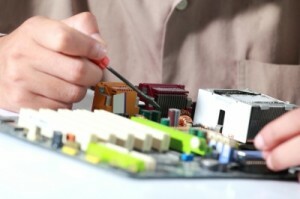 With these challenges and concerns in mind, manufacturing companies are now seeing the great benefits of implementing a modern communication solution, such as video conferencing or a Unified Communications solution into their workforce, that enables much quicker decision making, lower costs associated with global supply chains, and the ability to be much more flexible, removing many of the barriers to effective international manufacturing trade. So what type of solutions are being put in place, where, and how are the manufacturers really benefitting? Let’s take a look at a couple of examples. Toshiba TEC, part of leading Leading IT systems, electronic components, lighting & appliance corporation Toshiba, is a specialised supplier of IT information systems for the retail sector, supplying cash registers, barcode printers & RFID systems worldwide. Headquartered in Brussels, Toshiba TEC has operational branches across Europe, and regularly interacts with Toshibas main headquarters located in Tokyo, Japan. To keep project teams in Europe connected to counterparts in Japan, Toshiba TEC uses a selection of Lifesize Video Conferencing Endpoints in key locations across Europe, with a multipoint bridge that allows up to 6 international locations to join a conference simultaneously. So what are the Benefits & Results? Toshiba has critically analysed their expenditure and return on investment for this video conferencing deployment, and recognises a hugely significant reduction in international travel – almost 70% less flights are now made between office locations. In general, the solution is being used for management meetings at European levels and for audits with accountants, though have now begun using the systems for the introduction of new products with training. See the full Lifesize case study for Toshiba TEC on Lifesize’s website here. 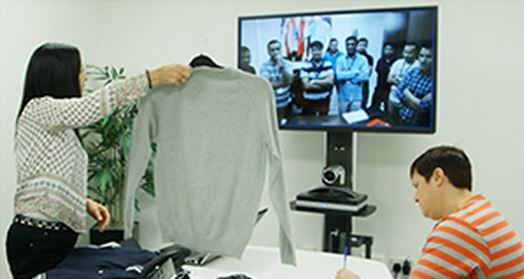 Bangladesh, whilst being part of the high speed fashion industry, organisations such as SRG depend on the immediacy of solutions such as Video Conferencing to easily connect different parts of the business together. SRG has a very fast turnover from the initial design concept to prototype sampling, and they must keep on top of these tight deadlines set by their high profile retail customers. SRG implemented a full suite of Polycom RealPresence group video systems within their worldwide offices and manufacturing locations in China and Bangladesh. They also use the Polycom RealPresence CloudAXIS suite to connect locations and bring in clients and customers without professional endpoints, securely and effectively. So what benefits have been realised? 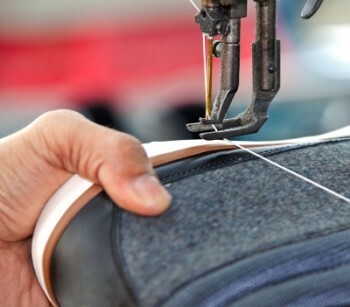 By implementing these video solutions, SRG Apparel enable risks and garment issues to be identified much earlier in the supply chain and checks by customers and clients can be made on a much more regular basis. Prototypes no longer have to be shipped from location to location – the garment can be held up in front of a screen and the problem can be shown in realtime. The modifications and requirements are discussed and a fit session held immediately, saving many days and considerable amounts of money. In addition, SRG uses video to keep in touch with worldwide market intelligence to ensure they are completely up to date with trends. With such visual products being discussed and shown, and the lack of understanding through audio only conversations due to language barriers and accents, these meetings could only previously be held via in person meetings. You can see the full Polycom Case Study for SRG Apparel here. There are a huge number of organisations in the manufacturing industry now utilising video conferencing and other video collaboration solutions to recognise many productivity, efficiency and cost benefits for their own organisations. Solutions from the likes of Cisco, Polycom and Lifesize are ensuring UK and global manufacturers can stay ahead of their competitors whilst greatly improving both the top and bottom line. We’d love to hear from you if you are using Video Conferencing across your team, and the benefits you have realised as an individual and as an organisation. 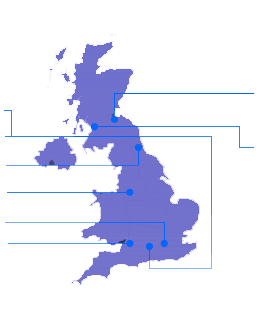 VideoCentric’s large customer base of manufacturers includes leading organisations such as Babcock, OCS, Bosch, Dyson and MAN, and have over 10 years’ experience of the communication challenges and business needs of organisations within this sector. 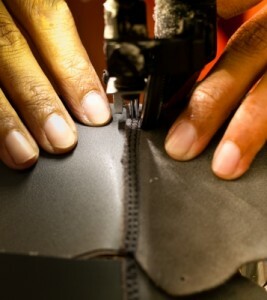 Visit our Manufacturing Sector Solutions page, or Contact us today to find out more! Intersting read on the manufacturing industry, thanks for sharing!